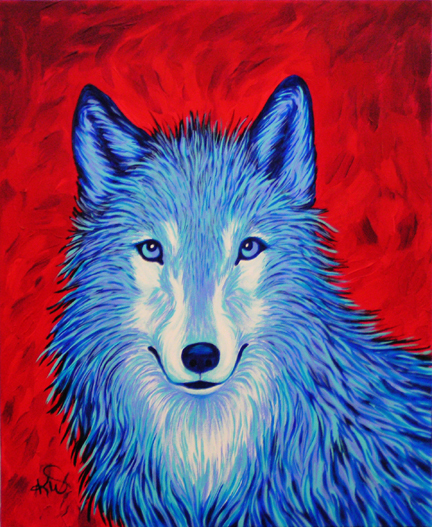 Yes, this blue wolf is sporting a hint of a smile, possibly even a somewhat whimsical one. I like to think of the playfully wild spirit of the wolf in every dog I have ever loved, as this wolf was intended to suggest. Why is the wolf blue and the sky red? I was in a colorful mood.